Let these nifty tricks help you keep your space neat and your favorite pairs in good condition. Whether you love collecting sneakers or you share a tiny space with the family, it’s quite inevitable to have more than 20 pairs of shoes scattered all over the house. While some keep everything on a shelf near the door, there are those who stuff their shoes inside cabinets or stack boxes behind doors. To avoid eyesores and to care for your footwear, it’s a must to store and organize them properly. If you only have a small space to work with, thinking outside the box and coming up with a couple of DIY solutions can help, too. 1. Maximize the back of your door. The back of your bedroom door is a prime storage spot. Aside from installing hooks that can hold your bags, belts, and scarves, you can look for a lightweight shoe rack that can be easily installed at the back of the door, too. 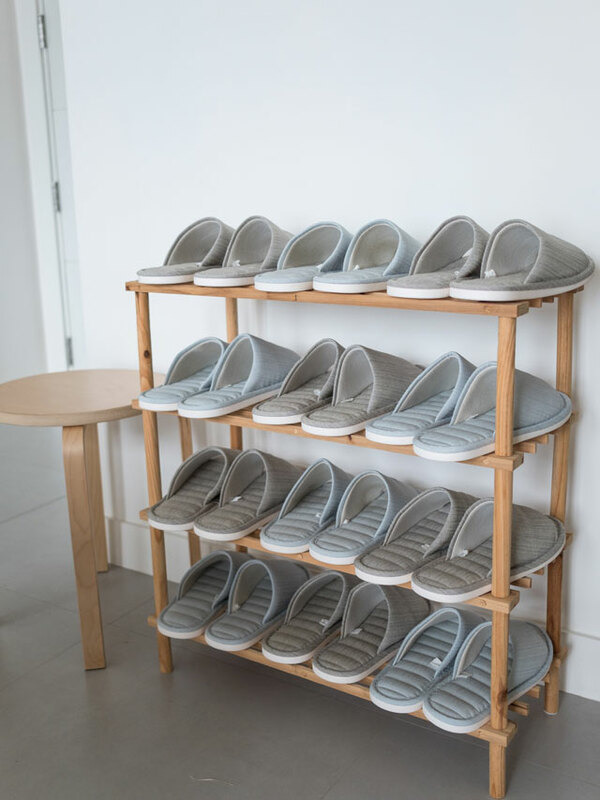 Organize your daily footwear and maybe some of your slippers in the rack so you can just grab and go what you need before leaving. For something similar, follow @dekko.ph on Instagram. 2. Purchase a slim rack that you can place in the foyer. Many of us have the habit of leaving the shoes by the front door. Keep this part of the home clean and welcoming by placing a low, slim shelf where you can keep indoor slippers and leave the shoes you’ve worn for the day so you can change before entering the house. Find something similar in Habitat. 3. 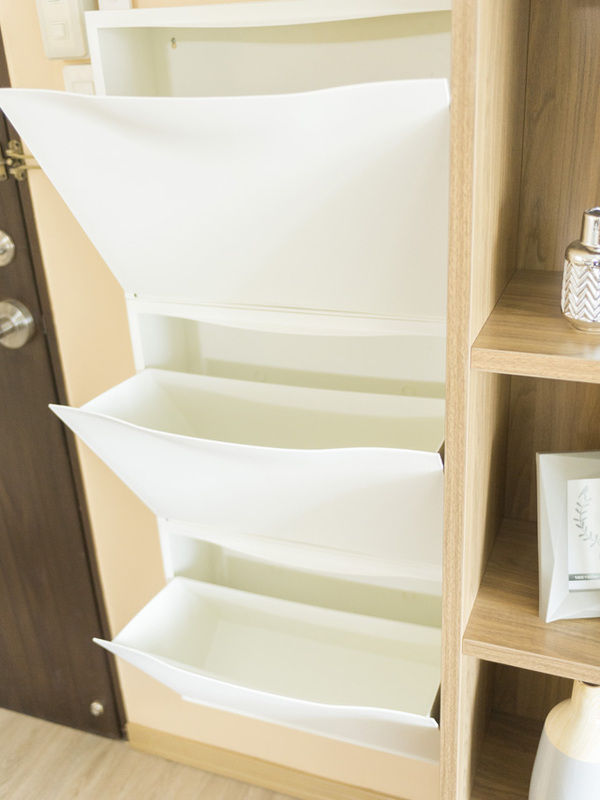 Opt for wall-mounted slim storage units. 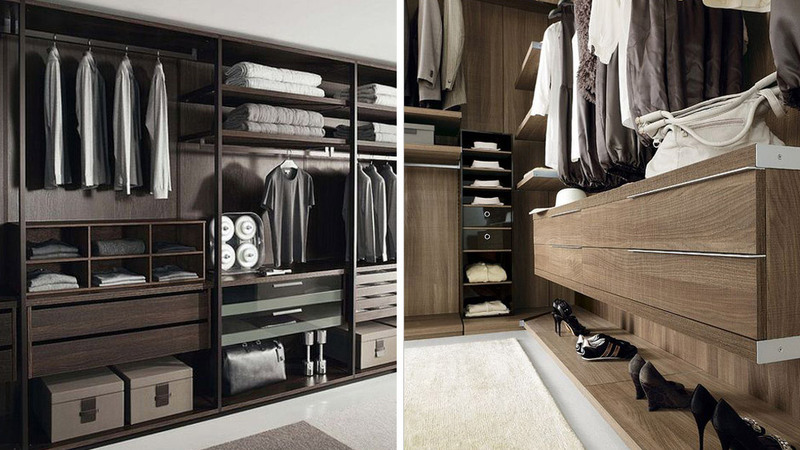 In condo units, entryways are often defined by storage units used to organize shoes and bags. Take your cue from the photo above by choosing space-saving storage units that allow you to maintain the sleek appeal of your space. Since these can only accommodate a few pairs, you may want to reserve it for pairs you wear on a weekly basis. Find a similar piece at Furniture Source. 4. Invest in sturdy plastic containers. We’re all familiar with those plastic multi-layer drawers we often see in the home section of malls. These versatile must-haves can be used when storing clothes, cooking essentials, and other belongings. Why not use it to store sandals and slippers. Do it by pair—store your favorites side by side to maximize the space. Storage ottomans and benches with secret storage compartments are common picks nowadays. You can place one in the foyer to organize your favorite footwear while giving you a spot where you can sit and relax before leaving the house. Find a similar piece at The Landmark, Makati. 6. Go for the wall-mounted cabinet. Though quite similar to the abovementioned slim storage units, these cabinets offer more space so you can keep all your shoes in one place. 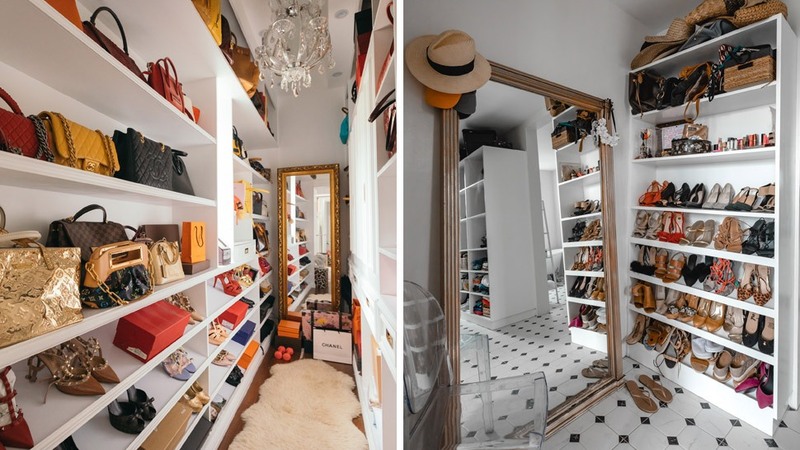 Choose a cabinet with at least four tiers so you can organize according to type—assign a compartment for sneakers, for heels, for sandals, and the like. If you live with the family, each member can get a compartment to avoid misplaced shoes. You can also have fun labeling each to give it a quirky and personal twist. Find a similar piece at EDIA. 7. Shelves are still your best bets. Believe it or not, you can have floor-to-ceiling shelves in a tiny space. Even one shelf allows you to keep everything in one command center while creating an illusion of a taller space. If you have one room to spare, you can turn it into a storage room filled with shelves and consoles so you can have your own walk-in closet. 8. Make the most of niches and corners. Don’t dismiss the corner in your bedroom just yet! Customized slim shelves or cabinets can hold up to 15 pairs of shoes. Work with a trusted carpenter to see how you can fit a storage unit in niches. It's best to have it properly measured to avoid mistakes. 9. Look for a shoe storage bench. A storage bench that you can place at the foot of your bed can give your bedroom a glam upgrade. You can source for a ready-made piece or invest in a customized bench so you can have a say on the upholstery and the number of pairs it can accommodate. 10. Trust your DIY skills. With the hundreds of pegs available online, we’re sure you’ll find one that’ll tickle your fancy and help you get organized. Spend one weekend working on DIY solutions you can do with materials found at home. If you still have the boxes of the shoes, you can make a few edits to create stackable cardboard storage. Paper tubes from paper towels and toilet paper are big enough to accommodate flat shoes and sandals. If you’re feeling extra creative, you can glue these together to create one storage piece. Lastly, extra coat pegs and knobs can be installed on a blank wall to hold sneakers and daily footwear.